Dudley Port (Low Level) station opened in 1850 on what was then the South Staffordshire Railway (later LNWR). It was known colloquially as the 'bottom' station as the Birmingham & Shrewsbury Railway opened their Stour Valley Line in 1852 which crossed the lines from Dudley and a station was opened above this station. 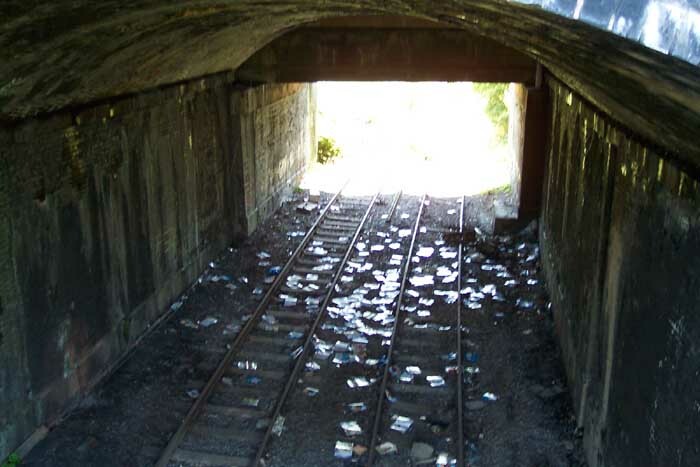 Low Level closed in 1964 along with the line upon which it stood. 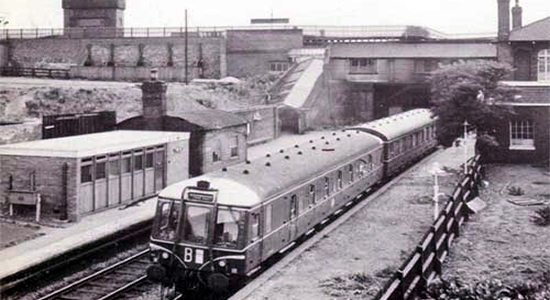 Above we see the station in 1959 (photo: Michael Mensing)with a DMU having arrived from Dudley. The Stour Valley line cal clearly be seen crossing above and the high level station is just out of view to the extreme left. Above-left we see the old LNWR 'low level' station site with the lines heading towards Great Bridge Station. Above-right we are in the same spot looking back towards Dudley through the tunnel over which the Stour Valley Line and Birmingham Canal (furthest from camera) run. The photographs were taken from the footbridge over the old tracks which form the entrance to the current station from Park Lane East: the footbridge is where the wooden-looking footbridge shows in the photograph at the top of this page. 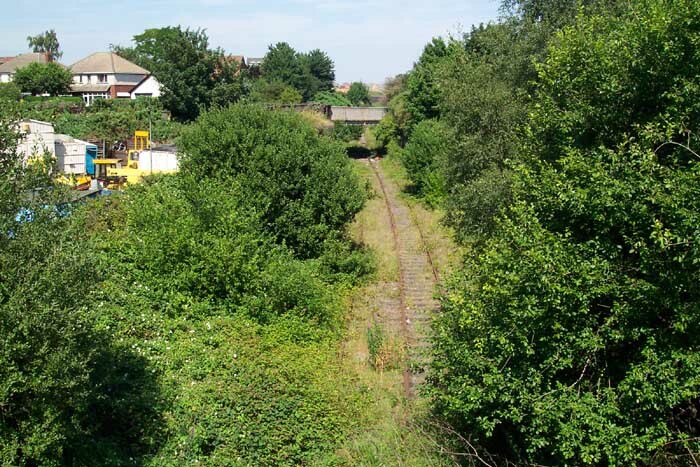 The low level site today is heavily overgrown although the trackbed has been effectively mothballed until such time as proposed extensions to the Midland Metro are put into action (if ever).